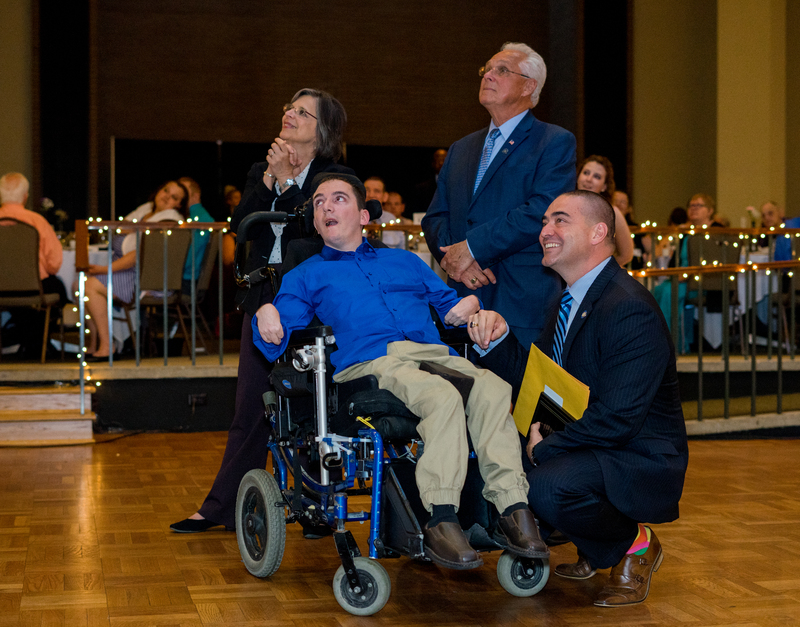 Check out ACHIEVE's 2018 64th Annual Dinner Dance! Do you have any seating preferences? Thank you to all that attended and sponsored ACHIEVE's 64th Annual Dinner Dance. More than 400 guests attended this year's Annual Dinner Dance, which was held on Friday, June 1, 2018 at The McKinley at Huron Campus in Endicott. The evening's festivities were highlighted when The Arc New York Executive Director, Mark van Voorst presented Conduent with The Arc New York 2018 Employer Recognition Award followed by ACHIEVE CEO Amy Howard, Senator Fred Akshar, Assemblyman Clifford Crouch and Assemblywoman Donna Lupardo presenting all of ACHIEVE's annual awards to individuals, staff members, local businesses and community members. It was a great evening spent honoring all of ACHIEVE's award winners, dancing and celebrating with our friends, family and community.